At Initech, we firmly believe that online marketing must be carefully adapted to the level of digital infrastructure, and particular user behavior specific to each country. We feel this is paramount to creating positive, and truly interactive, brand and customer experiences online. Corporative’s cross-cultural nature and approach take the localization needs of its global clients to the next level. Cost Approach –This is what it would cost to replace improvements less physical deterioration and other factors, plus the land value. Sales Comparison Approach—This involves making a comparison to other similar properties which have recently sold. The Sales Comparison Approach is the best indicator of value for a residential property. Income Approach—This is important when appraising income producing properties, which involves estimating what an investor would pay based on the income produced by the property. An appraiser provides a professional, unbiased opinion of market value to be used when making real estate decisions. An appraiser inspects the subject property looking at location, amenities, updates and size. They also look over the surrounding neighborhood taking note of similar properties and their sale price. Why would a someone need a home appraisal? Although an inspection is commonly part of the appraisal process, the appraiser is not a home inspector. An appraisal is an assessment of the home’s value, while a home inspection is an assessment of its condition. A home inspection is a third party evaluation of the accessible structure and mechanical systems of a house. A home inspection includes a review of the home heating system, central air, plumbing and electrical system, roof, attic and insulation, walls, ceilings, floors, doors, windows, foundation, basement and structure. The purpose of an appraisal and primary focus of the appraiser, alternatively, is to reveal the value of a home. A Comparative Market Analysis is created by a real estate agent before putting a property on the market. This analysis helps determine the list price by comparing sales of similar properties. The real estate agent relies on market trends when determining a value and may or may not have a true grasp of the market or valuation concepts. An appraisal is an opinion on the fair market value of a home based on several factors. The appraiser relies on specific, verifiable comparable sales while looking at other factors such as condition, location and construction costs. An appraisal is created by a licensed and certified appraiser who has made a career out of valuing properties. The appraiser is unbiased with no vested interest in the value of a home. 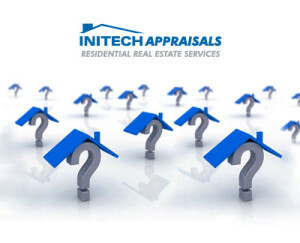 Where does an appraiser get the information used to determine his/her opinion of market value? Gathering data is one of the primary roles/jobs of an appraiser. There are two different types of data gathered by the appraiser: Specific and general. Specific Data is collected from the home itself. The appraiser finds this data during the inspection of the subject property, such as location, condition, amenities, and size. General Data is collected from multiple sources. Local Multiple Listing Services (MLS) provides data on recently sold homes that could potentially be used as comparables. Tax records and other public documents verify actual sales prices in a market. Flood zone data is gathered from FEMA data outlets, such as A La Mode’s InterFlood product. Most importantly, the appraiser gathers general data from his/her past experiences when creating appraisals for other properties in the same market. One of the first steps in the appraisal process is the inspection of the subject property. For this stage of the appraisal process, the appraiser will need to gain access to your home. Once the appraiser is there he will measure it, determine the layout of the rooms inside, confirm all aspects of the home’s general condition and take several photos. Prior to the appraiser’s arrival to your home, there are things you can do to make the inspection go smoothly. Trimming bushes and removing obstructing items will help the appraiser measure the exterior structure of your home. On the inside, make sure that the appraiser can easily access items like furnaces and water heaters.